The Pathway Genomics business model is based on bridging a gap in personalized medicine. 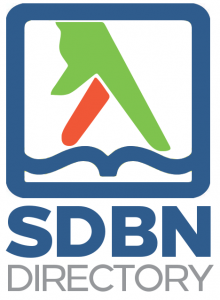 As Ed MacBean, their VP of Product Development, explained at SDBN’s August 16th event, in a nutshell they connect clients through their physicians with their own genetic information. For those interested in self-monitoring, tracking and the impact of personal genetics, a genetic report could teach you how your genetic data can act as a guide in defining a personally-optimized lifestyle. Pathway Genomics is a genetic and diagnostic health services company based in San Diego. 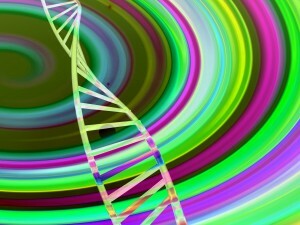 Genotyping and sequencing services are performed using technology platforms from Illumina and Fluidigm, and Sequenom. From only two ml of your saliva, Pathway Genomics will provide you with your genetic profile, tailored to one of several customized Reports. MacBean explained that their tests they are currently available only through physicians until FDA regulations are determined. Inside your individual report is information you can use to create a personalized healthy lifestyle using your genetic data as a guide. This isn’t the place to review all the details about each report, because much can be found on their website, but below are highlights of each plus some insights offered by MacBean. Report Results: Pathway Genomics results are presented within categories. For example, if you are otherwise totally healthy with no recognized genetic risks showing up for a certain area, you could see a “Live a Healthy Lifestyle” recommendation. This recommendation consists of suggested ways you could use these particular genetic testing results to leverage your diet, behavior, and exercise potential. And what if you are someone who exhibits genetic factors that suggest strongly increased risk for certain diseases or conditions? Then you may receive a recommendation like “Take Action” which would suggest specific lifestyle choices, nutrition, and exercise regiments that would not only be valuable to you based on your genetic profile, but which would be most helpful to you in negating some of your higher risk areas. The effects of the diseases tested here are generally not experienced by the person being tested – this test is about what you could potentially pass on to your children. Challenges in distributing testing like this include reluctance on the part of the payers, claiming only “medically necessary” testing is covered. Comprehensive testing such as this, can be commonly excluded, regardless of price. Report Results: Discusses your potential for passing on any of the Pathway Genomics panel of recessive genetic diseases to your offspring. Your analyzed genome can help you determine how you may react to certain medications. Report Results: Your genetic profile reveals potential sensitivity to certain drugs, the effect of your metabolism on that drug (determining effective dose and frequency), toxicity, and other adverse effects. Pathway Genomics’ newest Report, this test focuses on personalizing aspects of your health such as your nutrition, rather than only personalizing your medicine. Recommendations include sharing the type of diet that may be benefical for optimizing your health based on information in your genetic profile. Exercise – does your profile suggest that high intensity or endurance is best for your long-term health results? Pathway Genomics is still waiting on guidance from Laboratory Diagnostic Testing (LDT) from a year ago, while advances in the industry continue to develop. Medical / Bioethical – Although bioethics discussions surrounding genetic testing encompass a wide range of concerns, Pathway Genomics notes that current technology and testing services can be used to lower the cost of healthcare and improve the lives of patients worldwide. Even with these benefits, and the Genetic Information Nondiscrimination Act (GINA) in place, issues are complicated with real issues such as anxiety among employers and employees regarding sharing information this detailed and sensitive. Although GINA is designed to protect people from improper use of their genetic information, issues surrounding these boundaries are still working themselves out. People continue to search for ways that technology can help us improve lifestyle and health outcomes – add personal genetic testing to the list. As our guests from Quantified Self San Diego already know, the more you know, the more you can improve about yourself. As MacBean noted, more data can now be collected for less money than ever before. Both scientists and patients can benefit from the rise in the use of diagnostic testing (and “opinion diagnostics”) as the global population gains more access to personalized medical choices and the industry grows. Several interesting conversations followed during the networking afterwards – ranging from bioethics discussions to potential for job growth. We’d love to hear your thoughts on any of the many topics surrounding genetic testing – as it relates to the biotech and healthcare industry, and as a diagnostic tool.